Ex-Spoiler - Das bewegte Leben der Marlene S.
Santa Maria, war das Jahr am Fürstenhof für Marlene stürmisch! Begonnen hat sie quasi als Steckerlfisch, als unscheinbarer Backfisch mit Krücke im Schatten einer dominanten Diva-Mutter. Nach langem Kampf ist sie endlich Frau Riedmüller und kann in Florenz als erfolgreiche Schmuckdesignerin direkt in die Babypause starten. Wer die ganze Geschichte noch einmal im Detail nachlesen möchte: Hier sind in chronologischer Abfolge alle Ex-Spoiler über Marlene in englischer Fassung. The eventful life of Marlene S.! Santa Maria, what a stormy year this has been for Marlene at the Fürstenhof! She practically started out as a plain young woman with a crutch living in the shadow of her dominant diva-mother. After a long struggle she's finally Mrs. Riedmüller and can now begin her career as a successful jewelry designer in Florence by going directly on maternity leave. For those of you who would like to read up on the entire story: Here are all the ex-spoilers about Marlene in chronological order - the english version. Konstantin has been thinking about music event nights at the piano bar. He gets a call from the music agent of a famous (female) singer who he strongly admires. After Konstantin scares Xaver with a gorilla costume left by a guest, he isn’t able to get his head out of the mask anymore. Thus he meets the pretty Marlene who helps free him. When she sees his face, she’s a goner. Marlene and Konstantin have a business meeting to negotiate Natascha’s musical engagement at the “Fürstenhof” (Prince’s Court). Marlene continues to be over the moon for Konstantin. Konstantin invites Marlene to a dance at the piano bar. Marlene is so smitten with Konstantin that she even wears an unusually glamorous gown. Konstantin gallantly asks the shy girl for a dance. When her song is played, Marlene falls even deeper in love. Meanwhile, Marlene falls more and more in love with Konstantin but gets put into an awkward situation by her mother: She is supposed to tell Konstantin a big fat lie. Konstantin makes Werner the offer that Marlene could play the piano as the substitute for her mother until Natascha arrives but Werner gruffly refuses: If Natascha doesn’t start performing on the contractual date, she can forget about the engagement at the “Fürstenhof”. Werner is taken aback when he learns that Konstantin went against his wishes and gave Marlene a chance to play at the piano bar. But then Marlene is a complete success and even Werner admits that Konstantin made the right decision. After a strange meeting with Kristin, Marlene provides Konstantin with some information that puts him and Moritz onto Kristin’s trail. Made uncertain by a comment by Alfons about her disability, Marlene hides her crutch because she runs into Konstantin. Accordingly she becomes more self-assured and manages to provide Konstantin with support over his worry for Doris. Michael notices how Marlene hides her crutch from Konstantin. Uneasily, she denies to the doctor that she’s feeling ashamed because of her disability. But then, just a short time later, Konstantin of all people stumbles over the walking aid. Konstantin takes his injury after falling over Marlene’s crutch with a sense of humor and demands dinner as compensation. But the evening doesn’t go as Marlene imagined. Only when her mother Natascha calls and announces her impending arrival does Konstantin’s tiredness seem to vanish into thin air. Marlene realizes that the passion in his eyes isn’t for her. Natascha visits Dr. Niederbühl because of a cold and invites him to dinner with her daughter after she learns about his orthopaedic proficiency. But Marlene isn't interested in Michael's know-how. Even though her flirtation with Konstantin gets more serious, Natascha realized that Marlene has feelings for him. So it goes without saying that she will keep her hands off of Konstantin. And she’s determined to make Marlene a little more attractive for Konstantin. Marlene points out to Konstantin that it could help him get closure with Theresa if he went to her wedding. Marlene continues to be secretly in love with Konstantin. But he only has eyes for her mother Natascha. But it is Marlene who catches Theresa’s bridal bouquet. A good sign? Natascha apologizes to Marlene: The kiss with Konstantin didn’t mean anything. Marlene is sad and criticizes Konstantin for on the one hand still pining for Theresa and on the other hand chasing after her mother. Encouraged by Theresa, Marlene seeks out Konstantin’s company in the evening. Natascha immediately interrupts their closeness, though. As soon as Natascha and Konstantin are alone their hot flirtation continues. Natascha knows how to continue fanning Konstantin's desire. In the meantime, Marlene fails to land a suitable producer for Natascha's solo career. When Natascha reproaches her because of it, Konstantin takes Marlene's side. But Natascha puts him in his place. Marlene is deeply hurt by Natascha’s affair with Konstantin. And then one music producer rejects working with Natascha because he thinks she’s too old for a solo career. Will Marlene tell her mother the scathing truth? Natascha’s self-confidence takes a hard hit when she learns the truth from Marlene about the rejection by the producer. Later, after listening in on a phone call where Marlene refers to her as her mother several times, she thinks she knows why she is seen as too old and fires Marlene from her position as her assistant. Marlene is relieved that Konstantin didn’t wake up. But Natascha did secretly observe the kiss. When she starts talking about Konstantin Marlene avoids the topic and pretends to find Xaver attractive. Behind her back, Natascha slips Xaver a few bills and asks him to go on a date with Marlene in return. Konstantin isn’t certain whether he can trust Natascha and keeps the discovery of the money to himself for now. Eventually, Marlene is able to convince him to trick Krätzig so that he admits to having planted the money on Natascha. Marlene is glad that Natascha’s innocence has been proven but she isn’t ready to forgive Konstantin his distrust just like that. Marlene is overwhelmed by the thought of sleeping in the same bed as Konstantin. But in order to not show her feelings for him she doesn’t have a choice. The next morning Natascha receives her daughter and apologizes to her for throwing her out. But her bad conscience only lasts until she learns about where Marlene has been. Konstantin tells Doris that he damaged the madonna statue. But Marlene doesn’t want him to be at odds with his mother because of her and finally confesses to Doris that it was her fault. Doris pretends to forgive Marlene. Natascha gives the green light for Marlene’s surgery which takes place without complications. But a first attempt to trigger a reaction in Marlene’s leg is unsuccessful. Natascha tries to convince Marlene that the dream was nothing more than a figment of her imagination brought on by painkillers. But Marlene doesn’t believe that. With Mandy’s help she secretly leaves the hospital and forces her mother into a confession. In her desperation Marlene gets support from Konstantin and is able to believe Natascha that she’s her mother. In the meantime, Natascha feels more and more hurt by Konstantin. She justifies her abrasive behaviour with the guilt she has suffered from since the irresponsible accident that crippled Marlene’s leg. Still, the argument with Natascha stays on Marlene’s mind. Natascha is deeply disappointed that her daughter disowns her. But she can’t find any comfort with Konstantin. Meanwhile, Marlene is determined to first and foremost concentrate completely on the recovery of her leg. Marlene can hardly wait to start the rehab for her leg. But when she returns to the “Fürstenhof”, Natascha just cuts off her money. Konstantin is there to reassure Marlene. Because of that he clashes with Natascha because she isn’t at all happy about his constant support of Marlene. In view of the quarantine, her own problems seem secondary to Marlene. Though her heart bleeds when Konstantin prefers to be with her mother during this crisis. But she concentrates on making peace with Natascha. Michael tends to Alexander the best he can. Werner and Charlotte are deeply horrified when they learn of Alexander’s infection. They aren’t allowed to see him now anymore. But there is hope: There are anti-bodies in Marlene’s blood which make her immune to the Milung-Fever. Using this, the pharma firm has a better chance of developing an antidote. Meanwhile, Alexander’s state is getting worse. Marlene is staying with him and in his delirium he thinks she’s Laura. Marlene then leaves the “Fürstenhof” because her physical presence might help the pharma firm to develop an antidote more quickly. When Pachmeyer wants to take back the sample from Marlene, she’s quick enough to slip it to Alfons. He now has to smuggle the antidote into the “Fürstenhof” – but how? Natascha wants the whole world to know that Marlene is a hero - but Marlene doesn't want people to make a fuss over her. Marlene wants to go to a clinic for a few days to make up for falling behind in her training. But then she receives a cry for help from Mandy: She asks for Marlene's assistance with the pension because Alfons and Hildegard are accompanying Alexander to Brussels. The two of them spend a fun girls' night out. Marlene gets a more and more positive outlook on the future. Resolutely she decides to no longer pine after Konstantin. Marlene can cover up her embarrassment in front of Konstantin. Marlene has to face the fact that it continues to be difficult for her to see her mother and Konstantin happy together. Nevertheless she comes to the concert. Unfortunately, it gets cancelled due to poor attendance. Natascha plays down her disappointment and seizes the opportunity to reconcile with Marlene. Elena agonizes over telling Nils about the settlement with the clinic. But Marlene encourages her and so she finally confesses the truth to Nils. Marlene lets Natascha convince her to step up her therapy exercises which results in her muscles hardening. But Nils does his best to sooth Marlene’s leg and tense soul with careful exercises. Marlene decides to continue with her therapy at her own pace. At the tennis court she runs into Natascha and Konstantin. When Konstantin accidentally drives the ball in Marlene’s direction, Marlene instinctively evades it and moves her operated leg normally for the first time. She doesn’t realize but Konstantin notices. Marlene confidently tells Mandy: The less she thinks about her damaged leg the better the chance to overcome the blockade. Mandy immediately has a suggestion for distracting her: How about visiting a trade fair event in the evening where Marlene could present her jewelry? Excited by Mandy’s idea, Marlene declines Natascha’s request to accompany her on the piano that evening. Natascha is furious. When Marlene witnesses her mother getting into an argument with the hastily hired pianist she makes the decision to accompany her, after all. The concert doesn’t go as Natascha is used to. But instead of looking to herself for the reason, Natascha blames her daughter. Marlene is blissfully happy – she is able to walk again! Together with Natascha, Konstantin and Michael she celebrates exuberantly at the piano bar and makes plans for the next day. She ignores Michael’s admonition to take it slow. The next day Marlene heads off for a hiking tour. Because she isn’t back when she was supposed to be Natascha and Konstantin start a search for her. 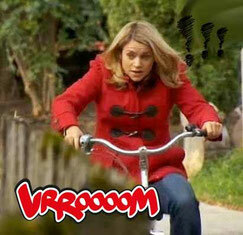 They meet up with Marlene at the alp and she challenges Natascha to a race to the hotel. Marlene hides her disappointment about the seemingly fateful find of the bracelet. To distract herself she goes on a trip with Michael who relishes this. Natascha meanwhile used her powers of deduction and confronts Marlene with the statement that the bracelet had been made by her for Konstantin. Marlene affirms this but denies having deeper feelings for him. After Michael manages to calm down Marlene after her failed attempt as a singer she goes back onstage and plays a piano concert as compensation. Suddenly Natascha appears and believes that Marlene is stealing the show from her. But when she learns about Marlene’s voice failing she reacts appalled and full of compassion. While Marlene is happy to have found a new friend in Michael, he silently enjoys the time spent with her. Konstantin is planning a special surprise for Natascha’s birthday and commissions Marlene to create a necklace. But she hesitates because of her feelings for Konstantin. In addition, she told Konstantin Natascha’s real age which is an affront against her mother. In the end, she creates the necklace. But her secret meeting with Konstantin, who wants to take a look at the necklace beforehand, is witnessed by a jealous Natascha. Marlene can’t defend herself against Natascha’s accusations because there’s a kernel of truth in them. But when Natascha learns that the reason for the secrecy between Konstantin and Marlene was her birthday present, she feels deeply ashamed. At the same time, Marlene becomes more and more aware that Konstantin’s heart is already taken. Natascha is looking to reconcile with Marlene. She’s glad that she doesn’t have to fear any competition from her daughter. Marlene affirms her mother’s beliefs even though that’s hard for her. She decides to turn her jewelry hobby into a job to distract herself from Konstantin. She doesn’t suspect that Konstantin’s love for Natascha isn’t built on deeper feelings. Konstantin confides his frustration to Marlene. He doesn’t want his mother to dictate whom he is allowed to marry. Marlene is shocked and thinks that Konstantin wants to marry Natascha, which he denies immediately. During the wedding festivities Konstantin asks Marlene for a dance, which is more fun than expected for both of them. Marlene wants to get started with her jewelry business and makes another necklace in the style of Natascha’s unique one. Her mother isn’t very thrilled about this. When Marlene gets her picture taken with the jewelry for her website, she gets perceived as a woman by Konstantin for the very first time. Konstantin is startled to discover Marlene in his room. Embarrassed, she goes to talk to Konstantin the next morning. To her relief Konstantin is understanding. Happy, she completes the jewelry orders and confidently declines Natascha’s request to be her pianist. Natascha is angry. Konstantin takes Natascha to task for her attacks. Meanwhile, Marlene is thinking about how she could earn money to buy new materials. She wants to give piano lessons. Michael offers himself up as a student. When an emergency comes up Konstantin fills in for him. Michael apologizes to Marlene for the kiss. Though Marlene is pleased to be desired she doesn't want to give Michael false hope. Kira advises Marlene to at least give Michael a chance. Marlene is the first to hear Doris accuse him of attempted murder. While Charlotte denies having with Werner in front of Doris, Marlene senses that Mandy is acting strangely towards her. An argument develops between the friends wherupon Mandy announces that she will see to it that Werner is set free. Konstantin and Marlene try in vain to get the truth out of Xaver and Mandy. Sad because of a fight with Konstantin, Marlene visits the place where she and Michael looked for crystals and quartz stones. As if by a twist of fate he comes there as well. Konstantin clears up the disgruntlement between him and Marlene. But Marlene is still in turmoil. Because Michael wants to get closer to her. While kissing, the two of them get unintentionally interrupted by Konstantin. Marlene gets overrun by her yearning for Konstantin. While a disappointed Michael is thinking about how to interpret Marlene’s rejection, Marlene decides to finally enjoy life. She concentrates on her budding feelings for Michael and takes a step towards him. Almost as soon as Marlene is with Michael, Natascha invites them to a couples’ night out where Natascha completely dominates all conversation. To her surprise it’s still Marlene herself whom Michael finds the most interesting. And Konstantin also pays more attention to her this evening than she is aware of. Marlene doesn't accept Werner's offer to open up her business without Mandy. At the same time, Konstantin tells Andre that he won't take part in the barkeeper championship -until Marlene tells him that Werner ousted Mandy behind his back and thus undermined his authority as general manager. Meanwhile, Marlene decides to accept Werner's offer after all, at the request of Mandy. Marlene renders first aid to the unconscious Konstantin. He gets taken to the hospital – nobody knows how he’s faring yet. After a first visit to the hospital Natascha goes to an appointment rather than stay with Konstantin, which Marlene can’t understand at all. Meanwhile, Marlene forces herself not to attach too much importance to her declaration of love towards Konstantin and convinces Natascha to sing for Konstantin at the hospital. Marlene is angry at Natascha and accuses her mother of not loving Konstantin. Natascha has a very guilty conscience because of the night spent with Ari. […] Even Marlene and Natascha stop their fighting for a short moment. Marlene tries to convince Konstantin to no avail that he is with Natascha and not with her. When he sees her with Michael he thinks that Marlene is cheating on him. Only Nils is able to finally convince him that he suffers from a neurological disorder. Meanwhile, Natascha feels deeply hurt that Konstantin’s feelings for her might be completely gone for good. She blames Marlene who in turn demands of her mother to pull in the same direction for Konstantin’s sake. Marlene manages to lure him to the piano bar where Natascha is waiting for him with a song. Konstantin starts to remember…Alfons wants Marlene to make a duplicate of Zwick’s necklace. He finally manages to take a picture of the necklace. But Marlene needs the original to replicate it. Konstantin apologizes to Natascha and Marlene for causing so much trouble for them. But Natascha can’t forget the slight of his rejection. Marlene notices how her mother is keeping Konstantin on tenterhooks and admonishes her: After all, she cheated on Konstantin with Ari while he was in a coma. Natascha is grateful to Marlene for not letting on about her infidelity with Ari in front of Konstantin but Marlene gets a guilty conscience. Michael notices her mood and tells her that she did the right thing. When Michael meets Gerlind Vierbrock in his practice he spontaneously invites her to dinner with Andre and Marlene. During the meal, Michael and Gerlind discover their mutual interest in medical history. When Marlene starts showing an interest in medical history the next day, Michael suspects what is behind it and is touched. Michael tells Gerlind that his heart belongs to Marlene. When Marlene, who is there also, tries to interfere Konstantin cuts her short. Marlene is stunned when she sees Konstantin going home with Sabrina. Konstantin doesn't let Marlene dissuade him from taking Sabrina home with him. But he is much too drunk for anything to happen. Michael is giving Marlene a romantic billiard lesson but he gets interrupted by Konstantin when Konstantin notices that Michael is teaching Marlene something seemingly wrong. Michael angrily challenges Konstantin to a duel but he refuses. When Marlene learns later on how well Konstantin is able to play pool she's surprised and asks him where he learned this skill. After hearing about how well Konstantin can play pool, Michael is overcome by doubts once again. He secretly does some research and finds out that Konstantin had been Junior Champion in Argentina. He realizes that Konstantin could have embarrassed him in front of Marlene without any problem, but he didn't. When Michael confronts Konstantin with his past he realizes that his jealousy was pure projection. When Gonzales shows up at the hotel, Konstantin has a hard time controlling himself. He confides to Marlene that Gonzalo deceived him many years ago. Marlene's alarm bells are going off as well when she hears the name Gonzalo. At first she doesn't want to believe it but the man who broke her heart in Buenos Aires once upon a time is really back again. Marlene and Konstantin want to expel him from the "Fürstenhof" but the hotel management doesn't want to rush anything. Marlene lets Kira cheer her up and resolves to ignore Gonzalo. Meanwhile, Gonzalo gets on Michael's bad side as well, who wants to treat Konstantin's hand after their row. Gonzalo manages to challenge Konstantin to a rematch, and Konstantin even believes that he can win. Marlene and Nils try to dissuade him but Konstantin only feels misunderstood by the two of them. Gonzalo cold-bloodedly accepts Marlene's daring offer to bet on Konstantin in the event of a rematch and demands she bet 20.000 Euros on Konstantin. Werner categorically rejects financing the wager instead of Marlene which Konstantin and also Doris would like him to do. Marlene wants to sell the piano, which she once received as a gift from Natascha, behind Natascha's back as she doesn't know about the bet. Konstantin is of the mind that Marlene has to learn the truth about her father. But Natascha has her reasons why she came up with the legend of the photojournalist. Marlene's real father abandoned Natascha and never wanted to acknowledge his child. She wants to spare Marlene this disgrace: She shouldn't feel as if she hadn't been wanted. Marlene and Michael are also thinking about children, but while Michael wants to have his own as soon as possible, Marlene feels that she's still too young for that. Michael realizes that he still has enough time to found a family. His panic about losing Marlene is exaggerated and his desire to have children can wait. Meanwhile, Natascha is tired of Konstantin keeping on pushing her to tell Marlene the truth about her father. She angrily threatens to break up if he continues to interfere. Full of anticipation, Marlene and Michael look forward to their civil wedding. When Marlene loses her wedding ring shortly before the ceremony, Konstantin rushes to her aid and promptly sprains his wrist. Once again, Michael gets jealous. 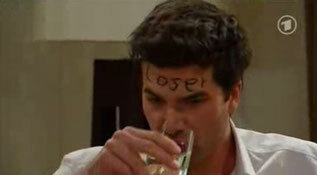 While Marlene is celebrating her eve-of-the-wedding party with Kira and Mandy, Michael drowns his doubts in alcohol. The next day, Marlene waits impatiently in front of the registry office for her groom. Marlene is full of understanding for Michael's call of duty and decides to attend Konstantin's and Gonzalo's billiard duel in the meantime. Konstantin doesn't allow either Gonzalo's confident behaviour or his hurt wrist to distract him and does surprisingly well. When Gonzalo offers him a draw Konstantin refuses. He firmly believes in his victory - especially since his 'good luck charm' Marlene is present. Konstantin wins the billard game. Natascha is appalled: She promised to tell Marlene the truth about her father in case of a victory. But still, she doesn't have the heart to tell her daughter the truth. She doesn't know that meanwhile Marlene receives a letter from her assumed brother. Even though Marlene at first doesn't believe Veit that he is her father, Konstantin finally breaks his silence and tells her that the story about the photojournalist was a lie. When Marlene confronts Natascha about it on the phone, Natascha is shocked that Veit is at the "Fürstenhof". She asks Marlene to keep her distance from him but Marlene wants to get to know her father despite all warnings. Marlene is shocked by Natascha's disclosures but Veit assures her, apparently convincingly, that although he had been ruthless and egotistical in his younger years, he never tried to have the unborn Marlene aborted. At first Marlene believes her mother but when Veit gives her a diary in which he supposedly followed her entire childhood, her doubts start to surface again. Whom should she believe? Konstantin understands Marlene's wish to get to know her father better and he asks Natascha to respect it. Natascha even comes to an uneasy truce with Veit - but only until she catches him in the lie that he has been trying to contact Marlene in the past. He shows Marlene a photo album with photos of her that he allegedly shot. But Natascha continues to deny that Veit has ever wanted any contact. Natascha realizes with dismay that she has walked into Veit's trap and has driven Marlene right into his arms. Marlene, meanwhile, comes to trust her father more and more and can see herself donating a part of her liver to save his life. Veit is surprised that Marlene is still willing to help him. That much altruism seems almost a little suspect to him. Natascha can’t understand Marlene’s decision but Marlene doesn’t let herself get dissuaded otherwise. Konstantin gives Marlene a little stuffed gorilla as a good-luck charm for the operation. Coincidentally, Michael has the same idea to give a stuffed animal to Marlene. After a disturbing dream, Konstantin is very worried about Marlene before the surgery. Michael calms him down and makes it clear that there is very little risk for Marlene. Konstantin is relieved when Marlene regains consciousness again and is doing well after the surgery. Veit is doing well after the surgery, too. But shortly after, Michael is summoned by Konstantin to come to Marlene. She is suddenly suffering from pain and dizziness. Michael sees to it that Marlene gets emergency surgery immediately to stop the secondary bleeding. Konstantin and Natascha are very worried about Marlene but Michael soon lets them know that Marlene's condition isn’t life-threatening anymore. After Marlene has woken up again, everyone is there to take care of her. Even Veit comes by to inquire after her health. Michael has been looking forward to Fabien visiting him for days. But much to his disappointment his son gets the chicken pox and has to stay home in Italy. Marlene, who is feeling better, notices how disappointed Michael is and advises him to visit Fabien in Italy. At first Michael doesn’t want to leave Marlene alone but she is able to convince him to make the journey. Meanwhile, Marlene tries to make a cautious new start with her father Veit. Inspired by the chess game, Marlene designs a piece of jewelry in the hope of maybe having a good relationship with her father in the future, after all. Veit however alienates Marlene with the statement that she starts getting too clingy for him. Veit wants to apologize to Marlene with the piece of chess jewelry which he had specially made. And he even goes one step further: Veit offers for Marlene to accompany him to South Africa to apprentice as a gold smith there. Marlene denies being in love with Konstantin to Veit. Although she is aware that she still has feelings for Konstantin, she is committed to her relationship with Michael. Completely desperate, Thiago takes Marlene and Veit hostage. He takes them to Julius's hut. Neither Natascha nor Konstantin suspect anything. Marlene convinces Veit to give Thiago the 100.000 Euros he demands. He will let them go in return. But Veit has to have the bank provide him with the money first. Soon, Veit's health starts to deteriorate; he badly needs his medication. Meanwhile, Veit tells Marlene why he keeps everyone at arm's length. He had a son after her - Karl. Karl got kidnapped during an attack but despite having paid the ransom money he never saw him again. When Javier appears at the hut, passes himself off as a hiker and asks about Thiago, Marlene and Veit hide Thiago inside the hut and manage to get rid of Javier. Meanwhile, at the "Fürstenhof" more and more things are starting to indicate that something isn't right with Marlene and Veit. Marlene pretends to give in to Natascha's demands to press charges against Thiago but she only makes a pretend phone call to the police... Meanwhile, Mandy and Thiago want to get married and Konstantin lets Marlene talk him into acting as a witness together with her. Michael plans to move to Italy with Marlene. Veit offers Marlene to work in one of his design offices in Florence where she could create her own collection. Natascha would be less than pleased about this. Will Marlene decide to move to Italy? When Konstantin confronts Doris with Marlene’s suspicion that she had something to do with Charlotte’s collapse, she gets very frightened… So Doris quickly goes off to destroy Charlotte’s writing which would convict her. At the same time, Marlene goes back there, as well, to shoot a photo of the clue. Marlene can convince Konstantin that she is no thief. This leads to a confrontation between Konstantin and Doris where Konstantin presumes that his mother has hidden the ring in Marlene's things as revenge. Since Michael doesn't have time, Konstantin "kidnaps" Marlene for a picnic in order to take her mind off things. Meanwhile, Werner forces a compromise on Natascha: Doris won't file charges against Marlene if Natascha doesn't spread around news of the gold theft. She grudgingly agrees but Doris continues to put pressure on Marlene. Thanks to Charlotte's loan Marlene is able to buy gold for her planned collection.. But due to Doris's threat she isn't able to concentrate on her designs. Charlotte insistently advises her to keep away from that woman. Meanwhile, Michael learns jealously about Konstantin and Marlene spending time together and he takes Marlene to task. Tension between Marlene and Doris is running so high that Doris asks Marlene to move out of the Saalfeld apartment. All this only increases Marlene's solidarity with Charlotte and she proposes for Charlotte to return to the place where she lost her memory. Despite a trip to the hut, Charotte's hopes aren't realized at first. Meanwhile, Konstantin and Werner try to argue with Doris about Marlene not having to move out of the apartment. Charlotte entrusts her memories of Doris wanting to let her die only to Marlene and Julius. Marlene in turn keeps this highly sensitive knowledge from Konstantin even though it's hard for her. It is, after all, about his mother and the chance of him taking his mother to task would be much too high. Michael, on the other hand, is let in on it. Natascha really did make herself out to be a jewelry designer in the radio report. Marlene takes her mother to task for it. Soon, Marlene's shop is full of Natascha's fans willing to spend some money. Natascha indulges in a glamorous appearance while Marlene is relegated to the sidelines. Konstantin tries to support Marlene who decides to publicly put everything right. Natascha is dismayed. Then the reporter shows up again. Marlene doesn't have the heart to expose Natascha in front of the reporter. Michael manages to ease Marlene's frustration. Konstantin risks serious trouble with Natascha because he can't stand the way she pushes herself to the fore at Marlene's expense. At night he has a dream in which he sees himself being incredibly happy with Marlene. Does Konstantin feel more for Marlene than he admits to himself? Michael reads the return of the bullfinch as a symbol for his upcoming wedding with Marlene. Marlene tries to distract herself from Konstantin by immersing herself in her work and tinkering with her white gold collection. Made insecure by Natascha, Marlene asks Michael for his opinion on her designs but he isn't really able to help her. Konstantin, on the other hand, is. Natascha isn’t happy that Marlene continues to keep going with her collection despite their fight. But Marlene, assured by Konstantin, is undeterred. Even when Natascha threatens to hire her own designer to market jewelry under her name. Marlene asks Charlotte for advice and then presents her mother with a contract that would guarantee Natascha a small profit from the sale of the jewelry, but Natascha shouldn’t hold out for more. Martin conceals the job opening in Bad Tölz from Kira, since he plans to start anew with her in Hamburg. But Marlene happens upon a fax addressed to Martin which says that there would also be the possibility to go to Bad Tölz… Marlene is happy about her first brooch and wants to show it to Natascha. But Natascha meanwhile has made up with Konstantin and is deeply in love. Marlene gets into an unpleasant situation. Marlene confides to Kira that Konstantin still sometimes confuses her, but that she has chosen Michael. But during a spontaneous snowball fight with Konstantin Marlene starts to falter again for a short while. Konstantin in turn realizes that mother and daughter don’t have the same sense of humor. Something similar happens for Marlene with Michael. Marlene is shocked when Natascha asks her to get a pregnancy test for her. The thought that her mother and Konstantin might have a child is disconcerting for her. Coincidentally, Konstantin sees the test and suspects that it belongs to Marlene. While Marlene and Natascha are anxiously waiting for the test results, Michael hears from Konstantin that he might become a father. Michael can hardly believe his luck. Marlene vents her pent-up anger and strongly reproaches Natascha. Natascha is suffering from the serious fight with Marlene. Shortly afterwards, Marlene goes off to attend the jewelry trade fair. Marlene comes home from the jewelry trade fair and is disappointed that interest in her jewelry was far less than she expected. But she only confesses this to Michael - and not to Natascha. Marlene thinks about how she might turn the failure in Munich into a success after all. And so she plans to invite the purchasing agents she met in Munich spontaneously to the “Fürstenhof” for an exclusive presentation of her jewelry. But Werner has to deny Marlene’s request. Emma Saalfeld is going to present her new Dirndl collection in the hotel in two days. Werner admits that he missed Emma’s wish but he knows how to improvise and offers her Marlene’s shop to display her new Dirndl collection there. But Marlene is against that. Although their first meeting doesn’t go very smoothly, Marlene and Emma like each other. Meanwhile, Natascha tries to convince Emma to collaborate with Marlene. Emma and Marlene complement each other perfectly with their collections. Emma tells Marlene about her love story with Felix. It was here at the “Fürstenhof” that the man of her dreams fell in love with her after much back and forth. Touched by the story Marlene is being reminded of moments with Konstantin. When Emma doesn’t reserve a seat for Felix at the Dirndl presentation because she doesn’t expect him to come, Marlene saves him a seat. Marlene is convinced that the power of love will prevail. Marlene is over the moon after the successful fashion show. Thanks to Emma’s support, her jewelry attracted much interest. But she’s sorry that Emma and Felix will leave again the next day. She would have liked to have more time to spend with them. Kira is deeply hurt by Martin’s decision. But after a long talk with Marlene she has to admit that Martin’s decision does take a weight off her shoulders. Marlene doesn’t agree with Natascha’s decision to end the pregnancy without having talked to Konstantin about it beforehand. A fight ensues between mother and daughter. When Konstantin stops by, Marlene loses it and tells him about his impending fatherhood. Natascha makes up her mind to keep the child. Konstantin is over the moon and wants to propose to her. Trustingly, he turns to Marlene and asks her to design an engagement ring for Natascha. Marlene is reluctant at first but then she eagerly sets to work. For a moment, Konstantin is enchanted by the rehearsed marriage proposal with Marlene. Natascha continues to be unable to tell Konstantin the truth but she also can't tell him the lie that she has suddenly lost the child. She senses that he wouldn't believe her and decides to leave him and go to Vienna alone. While she changes her mind at the last minute, Marlene finds a farewell letter from Natascha to Konstantin in which she admits to a big mistake. A big argument breaks out between Marlene and her mother. When Konstantin arrives at the scene, Natascha seizes the opportunity: She fakes a miscarriage. Even though Konstantin's accusations about her being to blame for Natascha's miscarriage hurt Marlene very much, she doesn't tell him the reason for her fight with Natascha. And although Natascha absolves Marlene of any guilt whatsoever and Michael tries to bring Konstantin around using medical arguments, the rift between Marlene and Konstantin seems insurmountable. Marlene tries to be understanding of Konstantin as she can see how much he is suffering from the loss of the child. Martin gives Konstantin the idea to write a letter to the baby in order to say good-bye. Konstantin has a hard time finding the right words, especially since Natascha is against the idea. In the end, it is Marlene with whom he finds understanding and support. Doris and Dr. Drescher lure Charlotte into a trap to make her look dangerous and crazy once and for all. Charlotte runs from them and seeks shelter with Marlene and Michael. As Michael is still trying to get the shocked Charlotte to calm down, Drescher shows up with two nurses ... Natascha wants to go to Vienna regardless of the loss of her child, which Marlene finds rather insensitive towards Konstantin. Konstantin has a frustrating phone call with Natascha: He can't comprehend her "repression therapy" concerning the assumed miscarriage and she doesn't have any sympathy for his worries. Instead, it is again Marlene who provides support for him... Marlene doesn't let herself be intimidated by Dr. Drescher and gets appointed Charlotte's temporary legal guardian by Franziska, the district court judge. Under reference to the dark chapter in Dr. Drescher's past, Werner blackmails Drescher in Marlene's presence... Natascha happily returns from Vienna. She succeeds in reigniting Konstantin's passion. Marlene, very unsettled by Konstantin's unconscious declaration of love, feels the unbroken attraction to him, but because of this she tries even more to be close to Michael. Konstantin is in the middle of the preparations for the upcoming final of the Elvis Double Contest which is supposed to take place at the "Fürstenhof". While a reconciliation between him and Natascha fails, Michael surprises Marlene with a concrete date for the wedding. When Konstantin learns of Julius's death, he's shocked and decides to cancel on the organizer of the contest. Natascha isn't very understanding about this. Konstantin is annoyed by her impiety and once again finds a sympathetic ear with Marlene. Marlene happens upon Julius's draft for his second novel. Konstantin offers her to read a part of it together at the funeral service. Marlene thinks that it's a good idea but when she hears Julius's romantic words coming from Konstantin's mouth, she feels how much she is still attracted to him. While Konstantin is completely overwhelmed by having fallen in love with Marlene, Natascha's marriage intentions are intensifying. She asks Marlene to be her maid of honor. Meanwhile, Marlene manages to resolve her fight with Michael over their unraveling plans to go to Florence. Natascha is happy that Marlene will be her maid of honor but she notices that Konstantin seems quite out of it. Konstantin admits to Nils that he has fallen in love with Marlene and that he doesn't know whether to take these feelings seriously. Meanwhile, Marlene is preoccupied with Fabien's upcoming visit. After all, Michael is her first boyfriend with a child. Natascha is stunned when Konstantin backpedals at the last moment and doesn't want to marry her. Due to her frustration she tries to seduce the charming Leonard. Meanwhile, Konstantin's bad conscience is tormenting him. Nils is the only one who knows the reason for Konstantin's decision: He's in love with Marlene. She on the other hand has no sympathy for Konstantin whatsoever. Marlene is nervous about the upcoming visit by Fabien. She wants to teach him how to walk on stilts but it soon becomes clear that Michael's son isn't interested in that. Marlene is relieved when she realizes that both she and Fabien enjoy playing the piano. Thanks to Michael's warning Konstantin only gets slightly injured by Natascha's knife attack. In shock over her own behavior, Natascha flees from the situation. Konstantin, Nils and Marlene go searching for her. When a desperate call from Natascha reaches Marlene, all three breathe a sigh of relief. Marlene is very worried when she notices that her mother can't make a sound. Michael diagnoses a contusion of the larynx and prescribes rest. Marlene brings Natascha to the chalet so that she can rest her voice and recuperate from the stress of the last few days. When Konstantin visits Natascha he can't answer her pestering questions about the reason for the breakup. Marlene tries to dig deeper and at first can't understand his fierce reaction. Marlene is overwhelmed that Konstantin has fallen in love with her and withdraws from the situation. While he draws the consequences and makes plans with Doris to return to Argentina, Marlene now understands why Konstantin couldn't marry Natascha. She tries to distract herself by taking care of her mother: Because Natascha has learned that she has been recast in the musical in Vienna. When Marlene goes to reassure her mother, she has suddenly disappeared. Marlene doesn't know how to handle the knowledge of Konstantin's love for her. She's burdened by her guilty conscience towards her mother and Michael. When Michael enthuses about their new life in Italy she realizes: No matter what Konstantin's feelings for her are, her future lies in Italy. While Konstantin can't help but to give Werner the reason for his departure to Argentina, Marlene sees the goldfinch as a symbol of her long-held love for Konstantin and wants to set the bird free. When it doesn't want to fly away, Konstantin offers to take care of the bird and puts the open cage in Marlene's room. When suddenly there are two goldfinches sitting in it, it confounds both him and Marlene who speculates that Konstantin might have bought the second one to tell her his feelings in a roundabout way. Konstantin admits to Marlene that he has fallen in love with her. They part ways with mixed feelings. While Marlene makes a conscious effort to turn her attentions to Michael, Konstantin would prefer to leave for Argentina at once. But the situation between Doris and Werner forces him to wait. In the meantime, Marlene gives the two goldfinches to her mother who immediately passes them on to Tina; which Michael notices with irritation. When Nils returns alone from a mountain hike with Konstantin, Marlene is worried about Konstantin and goes looking for him. After the kiss, Marlene and Konstantin do admit their love to each other but both know that they can't act on that love. There's no way that Marlene could tell her mother the truth. And Konstantin doesn't want to steal Michael's fiancée since it was thanks to him that Natascha didn't injure him any worse. When Marlene lets Tina have the two goldfinches, Tina suspects that there is a hidden love story behind "Romeo" and "Juliette". Natascha snoops after Konstantin because she's convinced that another woman is the reason for their break-up and she suspects Tina. This confirms Marlene's decision not to give in to her love for Konstantin. Meanwhile, due to his mother's decision to leave for Argentina at once, Konstantin celebrates his farewell from the "Fürstenhof". When Marlene learns about it, the notion of being without him tears her heart apart. A touching farewell letter and his pledge to always be there for her causes Marlene's emotions to break free. Konstantin leaves the "Fürstenhof" with his mother and a heavy heart. Marlene falls into a deep dark hole because of it. In the midst of her emotional chaos she resolves to tell Michael the truth about her confusion. But then she doesn't have the heart to tell him about her feelings for Konstantin. The necessity of surgery gives Doris a perfidious idea of how to tie Werner to herself for good. But Charlotte gets wise to her and in addition lets Marlene in on it… Marlene is disappointed when she learns that Konstantin returned to the “Fürstenhof” because of his father and not her. She wants to finally find closure. Meanwhile Natascha tells Marlene that she still isn’t willing to accept her break-up with Konstantin. Secretly threatened by Doris, Charlotte pretends in front of Marlene that the two of them simply want to bury the hatched. But Marlene doesn’t trust the situation and goes to Werner, Michael and Konstantin looking for help with her speculation that Charlotte may have been kidnapped by Doris. While they think that she’s just imagining things, Goran remembers seeing Doris throwing something away in the woods. Doris skilfully manages to dispel Konstantin’s doubts about whether she wishes Werner ill. But Marlene doesn’t let herself get dissuaded from her suspicions. Though Konstantin doesn’t want to let Marlene’s pressuring get to him, her fear for Charlotte and Werner makes an impact on him. Thus he confronts Doris with Julius’s voice recorder, which Marlene and Goran found in the woods. Doris’s obvious panic in the face of the voice recorder unsettles him and he lays a trap for his mother. When Doris heads off to see Charlotte afterwards, Marlene and Konstantin follow her. After Marlene gets shot by Doris, Konstantin determinedly cares for her. When Marlene starts to get a fever, he comes up with an idea to escape from their prison. Konstantin is shocked by Doris's confession that she killed his Aunt Pilar and his adoptive father. Appalled Werner and he try to process that they completely misjudged Doris. Meanwhile, Marlene is there for Konstantin when he learns about Doris’s arrest. Konstantin believes that Michael is trying to conceal malpractice when he diagnoses the cause for the numbness in Werner's leg as temporary swelling. His apology to Michael when his assumption turns out to be true is rather stiff as he admits to himself that his anger was directed mostly against Michael's relationship with Marlene. Meanwhile, Marlene's attempt to write her vows for her wedding with Michael fails. For Tina it's clear as a bell: Marlene's heart really belongs to Konstantin! Eventually, fate brings the two of them together. Marlene makes it clear to Konstantin that their kiss was a mistake. She believes that it's too late for her and Konstantin and withdraws. Konstantin doesn't know what to do because he doesn't want to move in on the woman of the man who saved his life. Werner thinks that's noble but asks him to consider whether he really wants to forgo his happiness. After this Konstantin comes to a decision. Marlene determinedly makes it clear to Konstantin that it's too late for the two of them and desperately clings to her engagement to Michael who leaves for a continuing education course in Hamburg the next morning. Konstantin continues to seek out Marlene but she is overwhelmed and stonewalls. She wants Konstantin to accept that they will never become a couple. But Konstantin only wants to accept that if she tells him to his face that she doesn't feel anything for him. Natascha meanwhile asks Marlene to invite Konstantin to her comeback-matinée. When he really does show up, Natascha believes he only came for her. Konstantin is sure that he's in love with Marlene and that she reciprocates his feelings. But Marlene doesn't want to acknowledge it because there is too much tying her to Michael. Michael saves Natascha's life at the last moment. Marlene is incredibly grateful and doesn't have the heart to tell him about her and Konstantin as she had originally planned. When Natascha regains consciousness, Marlene realizes that she's not only deeply upset by the end of her career but also by the separation from Konstantin. Agitated, Marlene asks Michael not to tell Natascha anything about her relationship with Konstantin. Michael does promise but he lets Marlene feel all of his contempt. Marlene is very sorry that she hurt Michael so much but she can't deny her feelings for Konstantin any longer, even though she can't act on her love at the moment because of Natascha. Marlene passes out for a moment after the fall and Natascha fears for her daughter’s life. But Michael can quickly give the all-clear. Marlene’s accident makes Konstantin realize that he doesn’t want to wait one moment longer: He proposes to Marlene who happily accepts… Charlotte gets caught up again in the memories of Julius and she breaks off the kiss with Friedrich. Friedrich is understanding and backs off while a het up Charlotte tells Marlene about Friedrich’s advances. During a walk on the shores of Starnberg Lake, Marlene dreams of having the wedding there. Martin even agrees to officiate the church wedding in that location. But during a talk with him, Marlene and Konstantin learn that the only available date would be in two days time already. After a short hesitation, the two of them decide to follow the hint of fate and throw themselves into wedding preparations. The news that Marlene and Konstantin are going to get married the next day already hits Natascha harder than she wants to admit and she decides to stay away from the celebration. While still plagued by the sorrow of building her future upon the unhappiness of her mother, Marlene gets a surprise visit from her father Veit. In the end it is he who convinces Natascha to attend Marlene's big day. Natascha finally swallows her pride and comes to the wedding. But Michael wants to stop the wedding at the last moment. Natascha of all people manages to stop him. 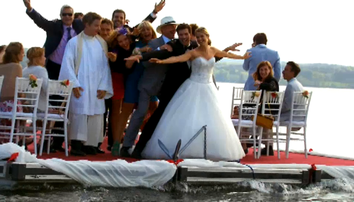 In a picturesque setting, Marlene and Konstantin get married by Martin in front of their closest confidants. While Marlene and Konstantin’s wedding is being held in the Fürstenhof park, Pauline lets Leonard have a taste of the leftover butter-cream for the wedding cake. That’s when he realizes with consternation that it is completely spoilt. With help from Leonard, Pauline bakes cupcakes as a substitute in a hurry. Marlene and Konstantin praise Pauline’s efforts. Marlene can hardly believe her luck: She’s finally Konstantin’s wife and her parents are at her side on this day. Even during the wedding dance, which groom Konstantin dances traditionally with the mother of the bride, Natascha shows magnanimity…. Alfons arrives just at the right moment to save Natascha from Veit’s attack. The next day, Veit reproaches Marlene because she kept Natascha’s schemes from him. While Veit plans to sue Natascha for damages for the costs of his useless search for his missing son Karl, an unknown young man introduces himself to Marlene as an intern at a newspaper interested in the jewelry designer’s background. But during an interview he behaves strangely. Marlene is sceptical whether the young man is really her lost brother. Konstantin is resolute and demands Karim undergo DNA testing. While Veit is clueless because Marlene and Konstantin only want to let him know about Karim’s existence after they can be sure that they aren’t dealing with a scammer, Karim agonizes over whether he even wants to meet with Veit. Veit recognizes his long lost son Karl in Karim. While Michael doesn’t hide his resentment over the end of his relationship with Marlene in front of Werner and later Konstantin, Karl and Marlene agree to meet again soon in Florence where Marlene wants to design his new collection with her father. For Konstantin this means having to postpone the honeymoon in Buenos Aires – but still, he’s looking forward to his future with Marlene in Italy. Marlene’s happiness is shadowed by Michael’s resentment of her and Konstantin, but he finally relents and wishes Marlene all the best for the future. Meanwhile, Nils and Sabrina are organizing a farewell committee: Werner and Charlotte, Natascha, Nils, Sabrina and Tina say goodbye to the happy couple who will start a new life in Florence. (Note from your translator, here at the end of all things Marlene: My translating is far from perfect, but with these spoilers most of the time it was the awkward original German texts and not my skills that caused the awkward English translations. ;-) STAY JEMMA, folks!